I'm soo.. excited that I got to document this photo shoot of my sister Porche! What makes this shoot more special than others is that it's my sister inspirational shoot! She wanted this shoot to inspire her & give her confidence to do what she loves, which is playing her violin. Growing up and hearing her play songs on her violin so beautifully made me want to do this shoot even more. 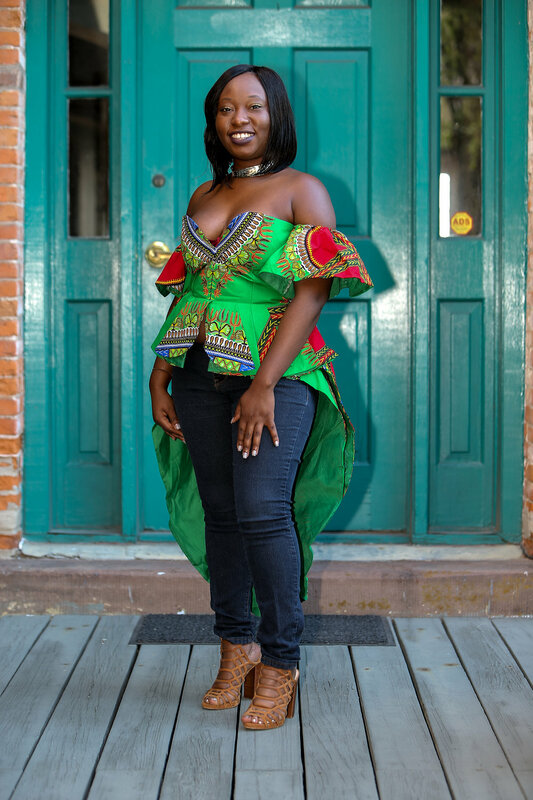 Originally the shoot was supposed to be done a week after her Bday but the gorgeous green African top that we ordered did not make it to us until a month late. The fabric is from Ghana and handmade by a seamstress so it's really special. What made us love this top was the decorated train added that elegance that we needed for it to be fit for a queen. By now I'm sure you already guessed the theme. An African themed photo shoot, which Is what I love to do! But she has always been interested in African studies and our history so she wanted to show our strong roots and her love for violin in the shoot. This shoot definitely glorifies a talented strong black woman! I'm so proud of the shoot and amazed how it turned out! We had an amazing photographer, C. E. Smith who graced us with his photography skills and artistic vision! The second look is a full African look with the head wrap to match from The Wrap Life. The skirt is from an older collection from Ann Taylor which I found to be perfect for this look. The basic leotard is topped with a festival brown and white necklace from Chicos that I adore! And the shoes from Broadway shoes but you can find them at Burlington and deprtment stores too! To book a photo shoot email me at mayunna1@yahoo.com or click the contact link.